Processing and editing images is a rather common practice, so finding the perfect tool for the job is on the mind of many users. Acorn is yet another image editor that provides basic capabilities, is able to work with vector tools, includes custom brushes and various filter effects, and makes sure that its interface is as intuitive as possible. As many other image processors, Acorn has its tools organized in three main panels: the toolbox that contains most of the editing instruments, the canvas area where you can make the adjustments and preview the results, and the inspector panel where you can customize the behavior of the currently selected tool and view all the image layers. The Acorn toolbox provides a selection of both basic and professional tools that can be used to alter your photos and even create new graphic projects. Acorn includes a wide collection of brushes designs, but also comes with a Brush Designer where you can create your own patterns. 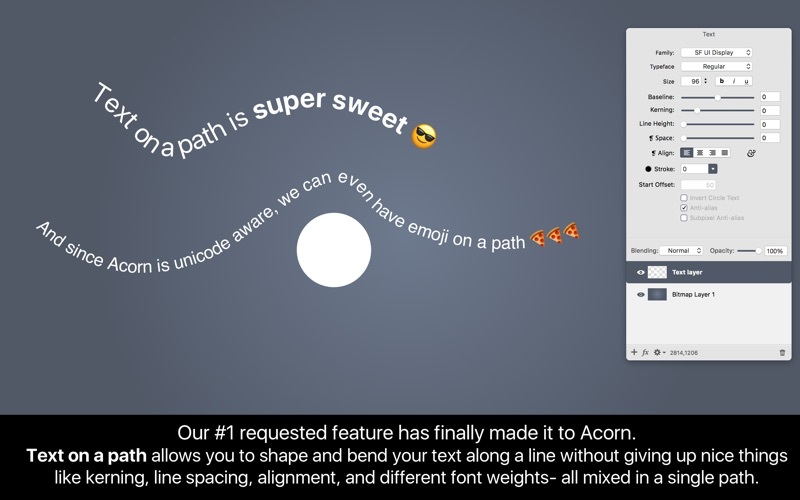 Moreover, Acorn allows you to create all sorts or regular or irregular shapes by using the bezier pen or the line / rectangular / oval / star shape. Since the application is employing vector tools, the results will look perfect regardless of the resolution you are using. 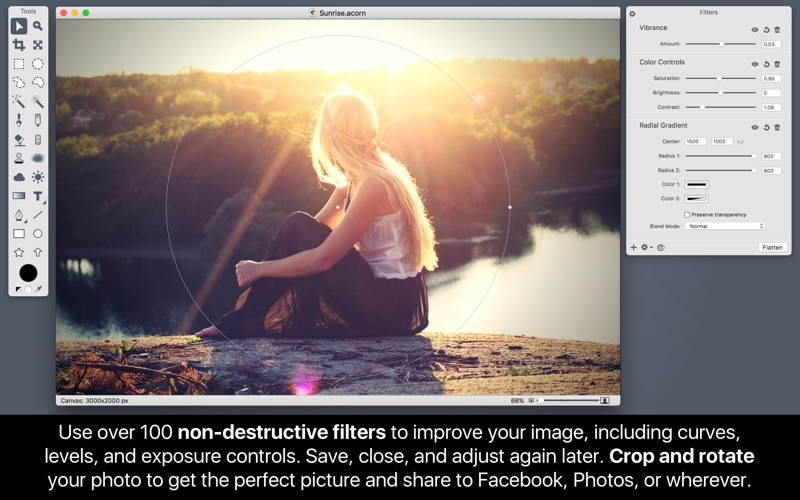 For your convenience, Acorn also provides quick access to a fairly large collection of image effects: blur, color adjustment, color effect, distortion effect, gradient, halftone, sharpen, stylize, tile, and more. This way you can achieve amazing effects in virtually no time. 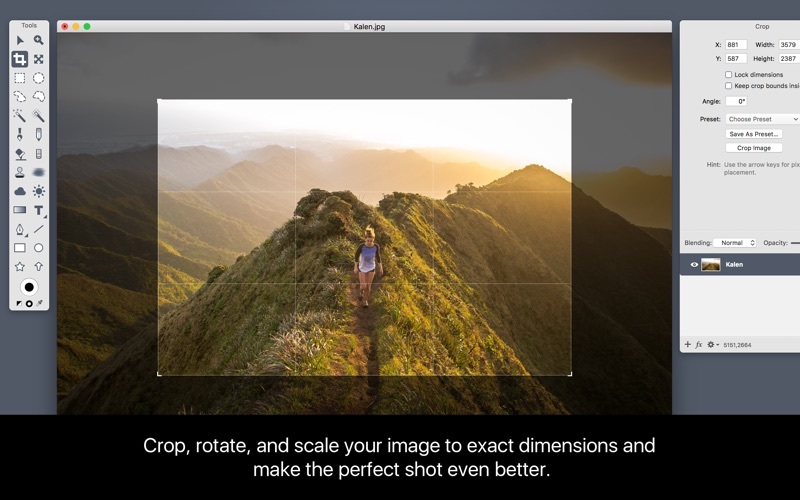 Acorn manages to provide above average capabilities when it comes to processing image files while preserving a simple, streamlined, and fairly intuitive user interface. 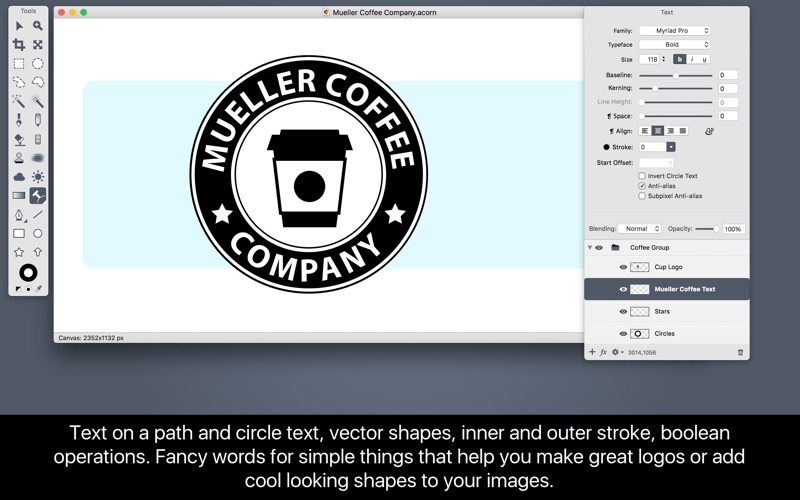 Acorn can be used to draw up new graphic projects by using vector tools, to apply various image filters to your photos, or to perform more basic tasks, such as adding text captions or resizing photos. 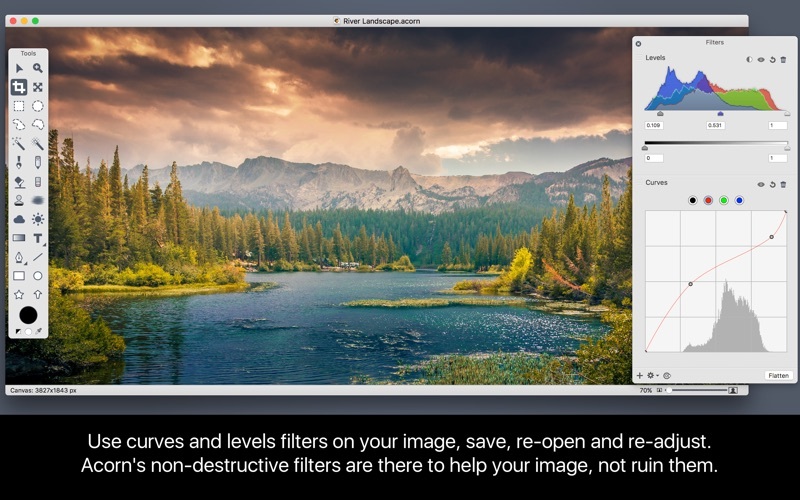 If you are looking for an easy to use image processor, Acorn certainly deserves your attention. Fixed an issue where the Metadata window could show the wrong image capture date.